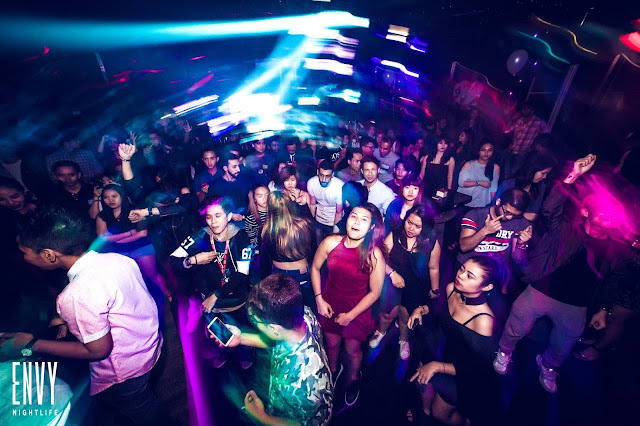 ENVY CLUB, AN UNPARALLELED NIGHTLIFE REVOLUTION IN BUKIT BINTANG! ENVY NIGHTLIFE , the newest and hottest party venue in Bukit Bintang celebrated its grand opening featuring an awesome array of entertainment line-up . By the late evening , a steady stream of invited guests mingled and enjoyed free flow of drinks at the reception area followed by the grand opening ceremony which includes ribbon cutting with Envy management , the Leng Sisters and dancers from Indonesia , N Generation . A fantastic fire curtain lighting display lifted the mood up a notch but the crowd hit climax when the Leng Sisters took centre stage and effortlessly turned up the heat . Constant chatter about the establishment’s unique concept and clinking of glasses resonated throughout the venue , signifying a good start to a great evening . Rocking the opening tune was Envy’s resident DJ from UK , DJ Roxx Remora to welcome all the dance-crazed party animals as they get the party started . A rave is never complete without dance performances. On the stage, six dexterous dancers N Generation from Indonesia showed off their moves by getting down to the background music which was blasting out at full-volume . 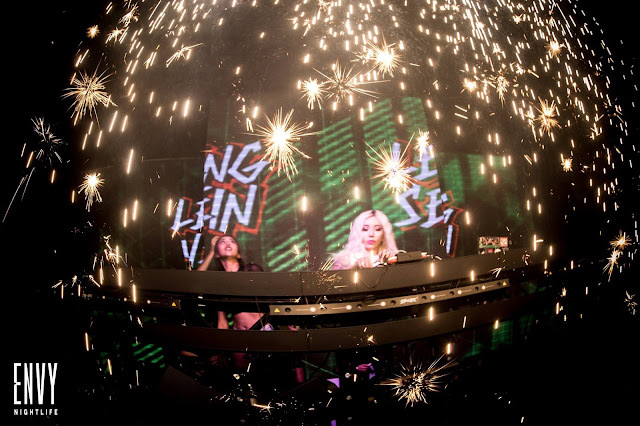 Dubbed as Malaysia’s hottest celebrity Female DJ and Asia’s #1 Female DJ Leng Yein churned out an eclectic mix of EDM, house, and twerk mash-ups tracks while Malaysia’s first club MC and #1 Hype Girl, Leng Sean hyped up the enormous crowd to keep their party vibes going. Also keeping up the beats were finest local DJs Lady Anna, Deadwood and Nextro luring clubbers with head-bobbing music mixes . Aside from featuring international acts , top DJ's and mind blowing entertainment , ENVY has already welcomed world renowned DJ/Producer duo from Germany , Jewelz & Sparks upon the opening night last April 14 . Boasting state-of-the-art interiors with luxurious couches , standing tables , top-of-the-line lightings , visual and sound equipments , hydraulic DJ booth , built-in confetti machines , Kryo sprayers , international resident DJs , dancers and a variety of entertainment acts including LED robots , Envy is where you want to see and be seen . Envy will deliver a world-class clubbing experience like no other and will certainly live up to its name – hosting the dandiest bash in town .